/ Home / Students and family / The Arts Institute – public arts season / Plymouth International Book Festival / Book Festival: Joanna Trollope, Sarah Churchwell, Min Wild - Turn the Tide or Ride the Wave? Book Festival: Joanna Trollope, Sarah Churchwell, Min Wild - Turn the Tide or Ride the Wave? What influence do writers have on the morals and values of individuals and society? Do they hold up a mirror so we can look at ourselves? What influence do writers have on the morals and values of individuals and society? Do they hold up a mirror so we can look at ourselves? Join Joanna Trollope and Sarah Churchwell as they discuss how writers act as cultural critics. Chaired by Min Wild. 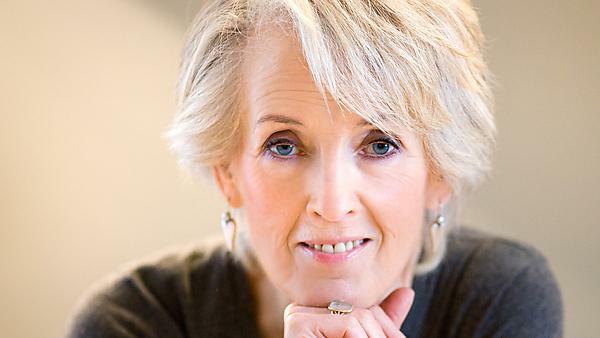 Joanna Trollope is the author of 18 highly acclaimed bestselling novels, including A Village Affair, The Choir and The Rector’s Wife. Sarah Churchwell is Professor of American Literature and Public Understanding of the Humanities at the University of East Anglia. She is a biography writer and a member of the judging panel for the 2014 Man Booker Prize. Min Wild has published academic books and articles on 18th-century literature. She is an expert in early 20th-century high Modernism, where poets and novelists looked back yearningly to 18th-century classical ways of writing and understanding the world. Tickets: £6, Concessions and Friends £4.